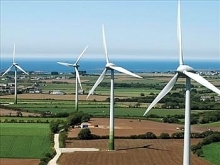 Deputy Prime Minister Trinh Dinh Dung has called for the development of renewable energy and the use of energy in a more economical and effective way in order to reduce dependence on foreign energy sources. 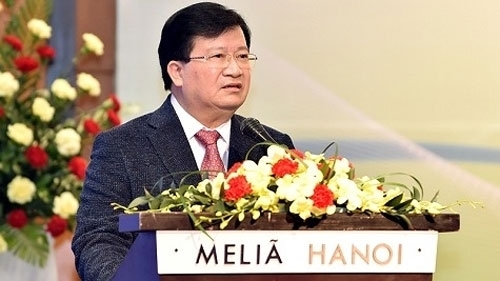 The Deputy PM made the request at a conference held by the Ministry of Industry and Trade in Hanoi on December 16 to review the five-year implementation of the Law on Using Energy Economically and Effectively. He noted that although the results gained over the past five years were remarkable, they have not met the country’s potential for energy savings. According to the World Bank, Vietnam’s industries have a huge potential for energy savings, from 25% to 40%. He tasked the Ministry of Industry and Trade with reviewing and collecting opinions raised by the delegates at the conference to amend the Law as well as other documents on providing instructions on implementing the Law. He also asked to raise public awareness on the effective and economical use of energy, making it a daily habit for residents. According to the Industry and Trade Ministry’s report, from 2011-2015, the volume of energy savings was equivalent to 5.65% of the total energy consumption during the same period, while the national target for the period was between 5% and 8%. The promulgation of legal documents on effective energy use has helped remove obstacles in the work, supporting private businesses and small and medium-sized enterprises in carrying out their energy-saving activities while facilitating ODA projects on increasing energy savings and reducing greenhouse gas emissions. The ministry’s latest survey also showed that 85% of Vietnamese people are aware of ways to save energy thanks to social media, as well as the benefits of energy-saving products and services.